Dallas Cowboys Head Coach Jason Garrett did not address the media on Friday from the Pro Bowl, his responsibility on the team still uncertain for 2019. While a ten win season and NFC East title assured Garrett would return as head coach, his decision to fire Offensive Coordinator Scott Linehan has the structure of the Cowboys offense in flux - despite being out in the open in sunny Orlando, FL. Jon Kitna has joined the Cowboys staff at the Pro Bowl, signing on as QB Coach to fill this position vacated by Kellen Moore. 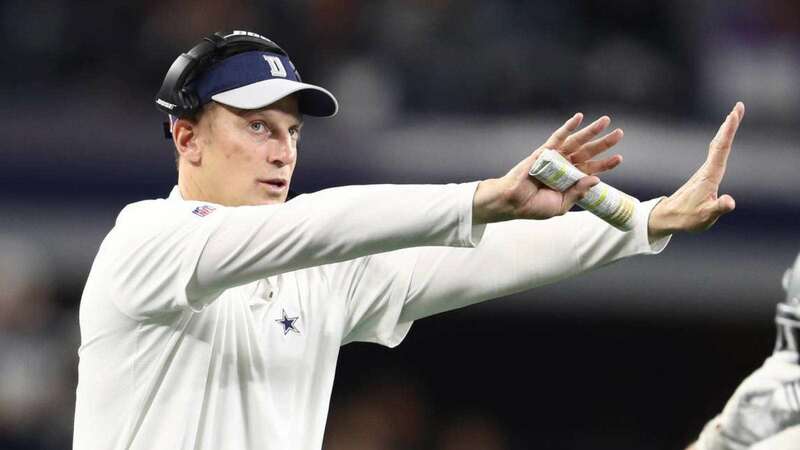 In line to be the Cowboys next OC, Moore's ideas will be welcome in an offense that plans to pool together concepts from Garrett, Moore, Quarterback Dak Prescott, and current TE Coach Doug Nussmeier. As far as the all-important play caller that will culminate this offense, the Cowboys have made no formal decision at this position yet. The latest report from NFL Network's Ian Rapoport is that Nussmeier - a former college OC - has the advantage here over a return to Garrett as the Cowboys play caller. The #Cowboys have not made an official decision on offensive staffing, but sources say this is the expected scenario: Kellen Moore as OC, Jon Kitna as QB coach, TE coach Doug Nussmeier with more influence... & coach Jason Garrett not calling plays. The brass likes him overseeing. Surrounding Garrett with talented positional coaches and coordinators as the team's game manager is a proven plan of attack for the Cowboys, who have shown no intentions of making any drastic changes to the coaching front this offseason. Such is why they hired internally to find a new OC. Garrett has a track record of success calling Cowboys offenses, none of which ever ranked below ninth in total yards. Nussmeier does not have this experience, but did have a two-year stint as the OC at Alabama. Disciples of Nick Saban have always had the respect of Garrett, and whether or not he moves forward with Nussmeier as his play caller is the story to keep an eye on in Dallas. Tell us what you think about "Doug Nussmeier, Not Jason Garrett, In Line to Call Cowboys Offense in 2019" in the comments below. You can also email me at Sean.Martin@InsideTheStar.com, or Tweet to me at @SeanMartinNFL!